The Speed Drive is a complete dragster. The single concave bottom keeps you going fast right off your bottom turn and keeps momentum till the fins drag on the sand. The medium entry rocker and slight flip in the tail helps create that speedy glide-drive from turn to turn. This board has a medium-full rail and keeps much of its volume under your front foot. The middle of the board has less rocker tending to be a tad flatter giving it that speed. The Speed Drive also has a hip in the outline right where the fins are that brings in the tail block just enough for faster maneuverability. 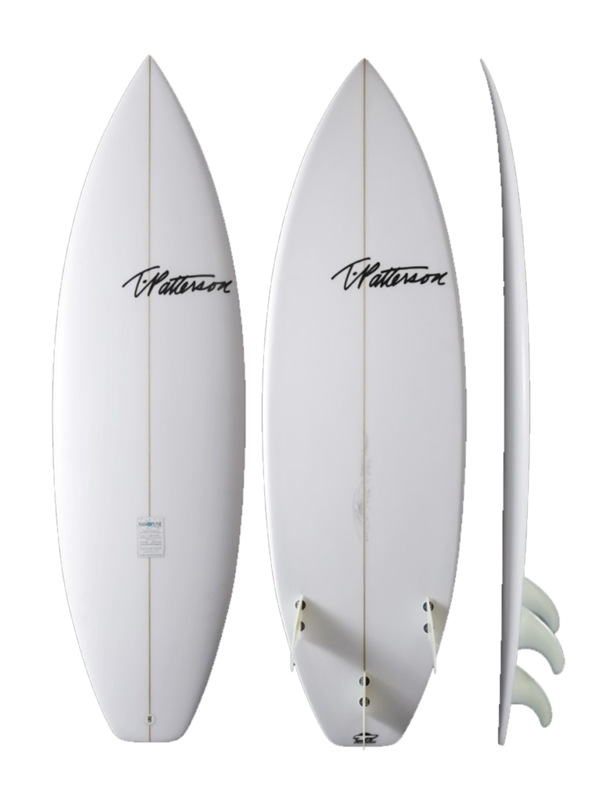 This board works best as a tri or quad fin and is ridden with a squash or swallow tail. This board is designed for small to medium surf.